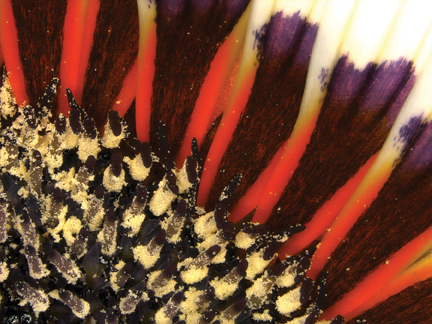 The Cape daisy (Venidium fastuosum) shown here with pollen-covered stamens was captured on camera by Emily MacDuffie ’13, a psychology major from Cape Elizabeth, Maine. MacDuffie’s image won first prize this spring in the Robert Savage Biological Image of the Year contest. The award honors Isaac H. Clothier Jr. Professor Emeritus of Biology Robert “Bob” Savage. Twenty-five student photographers—majoring in linguistics, psychology, economics, art, religion, chemistry, political science, and biology—participated. 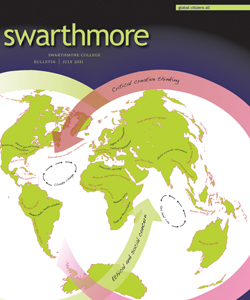 Learn more about the award, and view all images at www.swarthmore.edu/savageaward11.xml.